From time to time I discover something truly special. I am faced with the decision to share it with my nearest and dearest (in this case, stylishmews followers) or keep it to myself, fearing it will become too popular and lose its cachet. Since the point of this blog is to share all those places and things that are part and parcel of who I am, what I like to do, and where I like to go, I am going to let you in on my latest discovery. 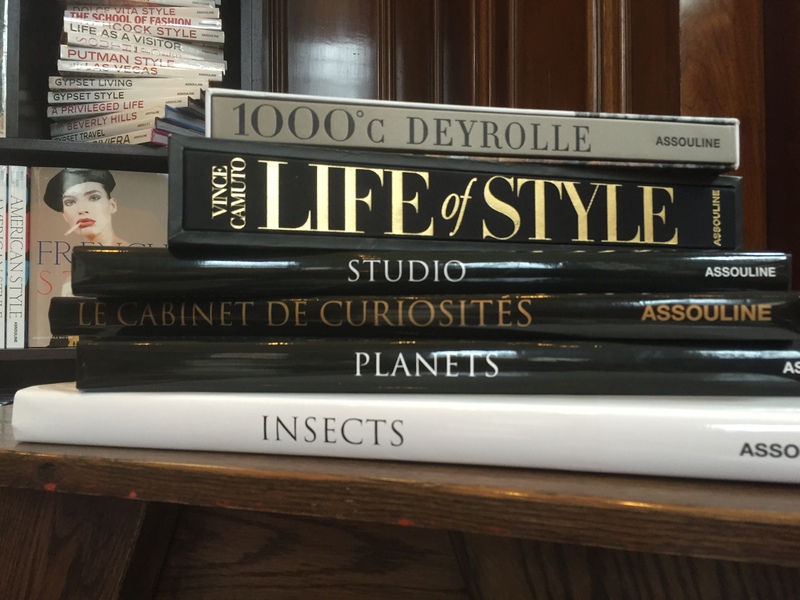 Thanks to a very generous and stylish follower of stylishmews (you know who you are), I was recently introduced to Assouline at 196A Piccadilly. Sandwiched between the St James Church open air market and the BAFTA headquarters, is a grand and imposing building originally designed as a bank by Sir Edward Lutyens in 1922. Most recently it was the Hauser & Wirth Gallery which has now moved to 23 Savile Row. 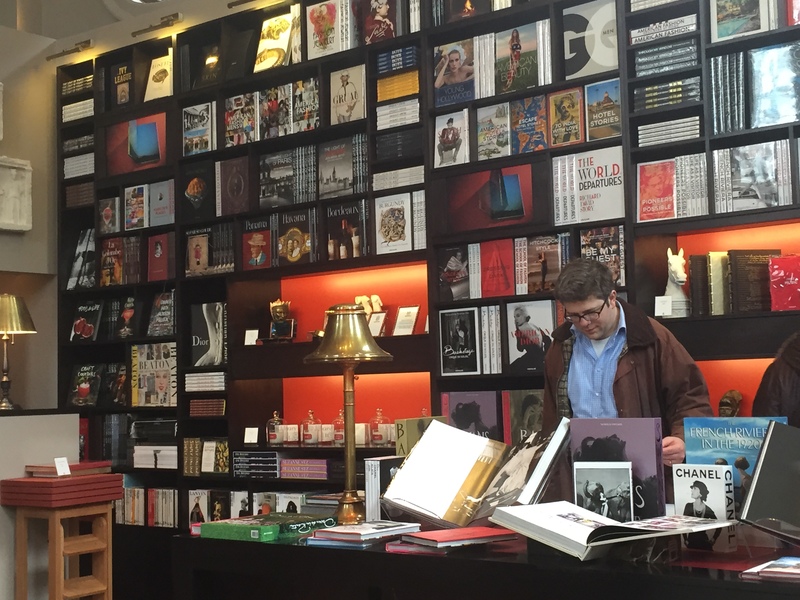 For those of you unfamiliar with who and what is Assouline, let me begin by saying they consider themselves (and I am in complete agreement) publishers of the most sophisticated books in the world. Personally, I think that is a bit of an understatement. Their books are not only the most sophisticated, but the most interesting and beautiful books to be cherished and read over and over again. 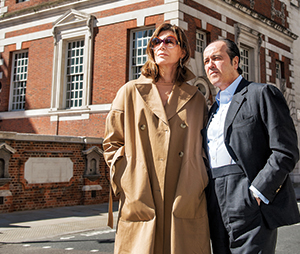 Over the course of 20 years Martine and Prosper Assouline have built a publishing and lifestyle business that has remained true to their dedication and appreciation of art, design, architecture, fashion, travel and much much more. “We created this company to be the first luxury brand on culture. We wanted to supply everything for a contemporary library; we started working with top perfumers for scented candles, with Goyard for a book trunk, with Chanel on a quilted leather slipcase, and so on. 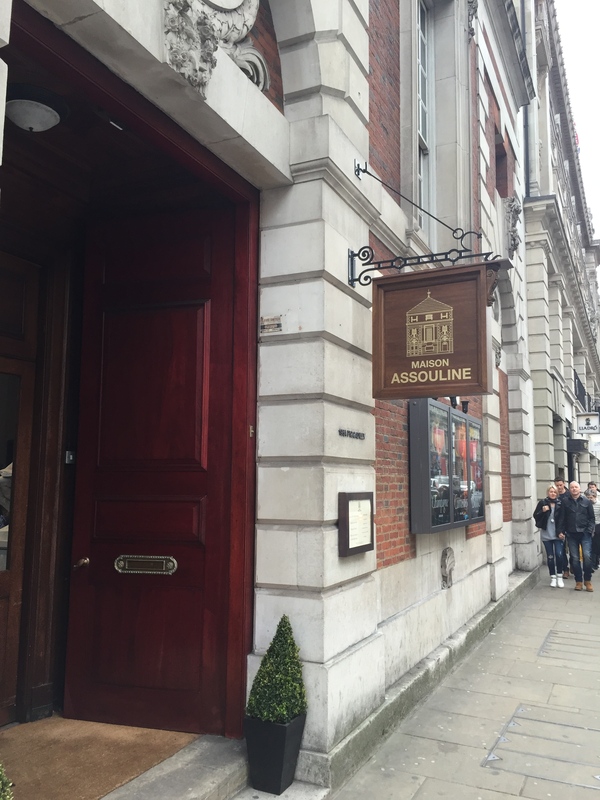 Now we are expanding the Assouline lifestyle brand in stores in the most important cities of the world”. All of this becomes obvious the moment you step through the large wooden doors of 196A. Leaving the hustle and bustle of Piccadilly behind, you enter a world (5400 square feet) of serenity, beauty and old world charm. 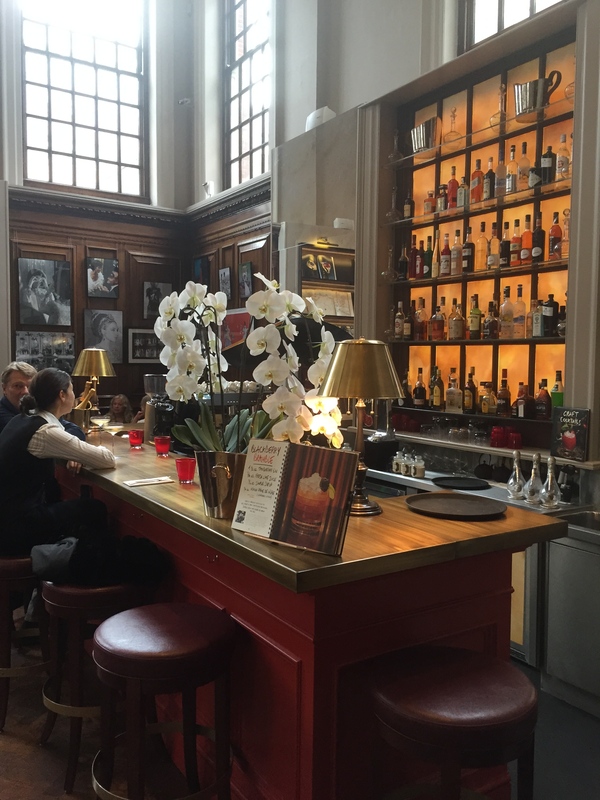 The majestic scale of the ground floor, massive bookshelves filled with books, tables displaying an array of candles, leather goods and stationary items, give the impression you are in the rarefied world of a private club. Even the choice of music discreetly heard in the background is a sophisticated mix to delight young and old. 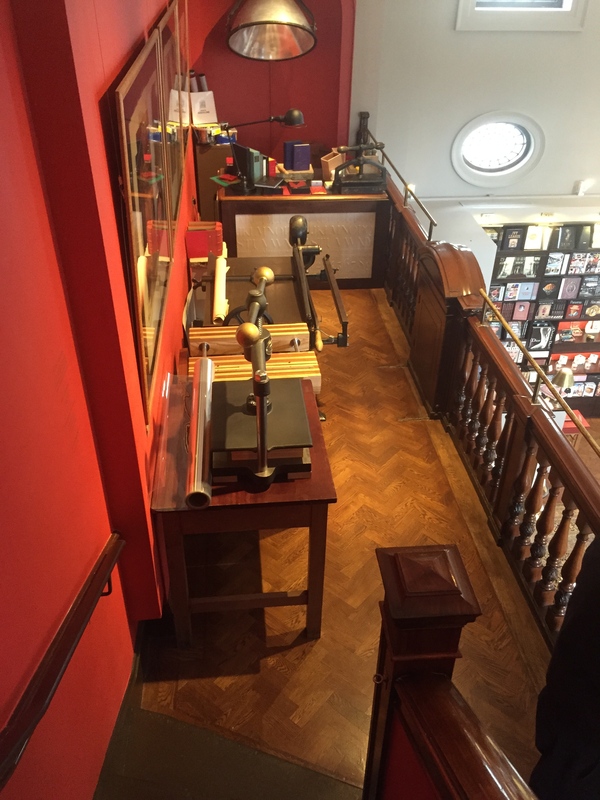 Climb the narrow winding staircase at the back of the room to the mezzanine overlooking the ground floor. There you will find the Assouline Bespoke Bindery, where everything from beautiful Assouline notebooks to book bags can be personalised. If you have a book in need of re-binding, a full-time bookbinder works his magical craft, creating, customizing and repairing your treasured tome. 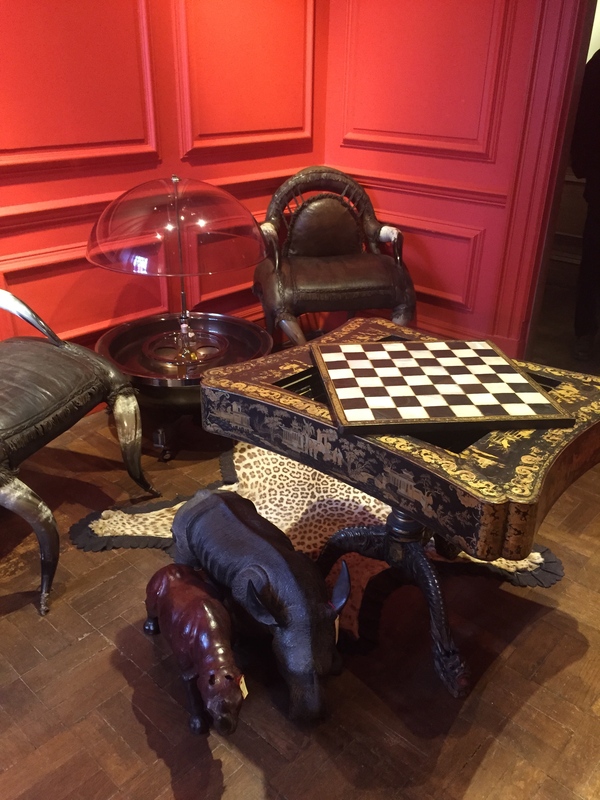 The narrow winding staircase continues to another floor filled with 3 rooms of exceptional furniture, photography, antiques and the Assouline Cabinet de Curiosités, where a fascinating array of unusual objets can be found. What struck me beyond the assortment of furniture, art, rugs and curiosities was the scent wafting in and out of these rooms. 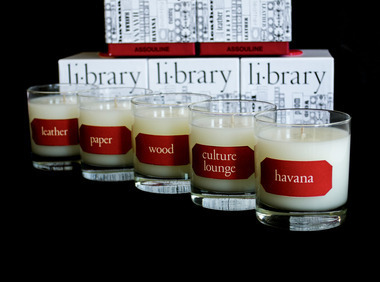 Naturally, it is for sale in the form of a candle called Culture Lounge. For those of us who cannot afford the design services of the Assoulines to create a bespoke library, we can, at the very least, light a candle, close our eyes, and pretend to own one. I love Assouline. Their book on Brazil was better than any travel book I found for learning about the culture. Everybody borrows it!! Looks wonderful . Can’t wait to visit. Thanks for sharing! What a hidden treasure. Looks fantastic. Perfect Stylishmews piece. New best friends? !